If you or a loved one has been arrested or accused of a crime, it is often a life altering event. In addition to being very scary and intimidating thing, the legal and criminal process that follows can be extremely confusing. What should you say to police officers? How do you post bail? Will you have these charges on your record for the rest of your life? Am I going to jail? How will this affect my job, my family, my civil rights? All of these questions can be overwhelming, especially when you are trying to navigate the legal system at the same time. Neil C. Kerch is an experienced, aggressive, innovative and affordable criminal defense attorney that practices exclusively in Broward, Miami-Dade and Palm Beach counties. You can rest assured that he will be by your side to guide you through the entire process. Neil C. Kerch will take care of the serious matters of your case, taking the stress and burden off of your shoulders. 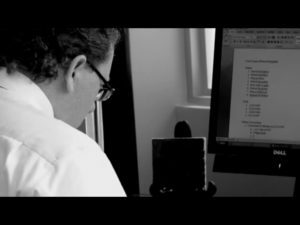 Please watch the video below to gain better insight on how Criminal Defense Attorney Neil C. Kerch can help you. The Law Office of Neil C. Kerch LLC represents all criminal matters in both State and Federal Courts. Click here for a partial list of the crimes we handle in Broward, Miami-Dade, and Palm Beach counties. To find out information about our fees for Criminal Defense click here. Contact me at (954) 801-6338 or by email for a free initial consultation. Return to top click here.